It’s been a tough year so far for cryptocurrency investors, and much of the pressure on the markets has come from fears of increasing government regulation. U.S. Securities and Exchange Commission Chairman Jay Clayton spoke to CNBC on Wednesday about cryptocurrencies as investments and whether cryptos are securities and subject to securities laws. The SEC has no intention of changing its longstanding definition of a security, Clayton told CNBC. “We've been doing this a long time; there's no need to change the definition." Companies are free to raise funding by holding initial coin offerings via private placements, Clayton said. And the SEC is perfectly willing to help companies hold public ICOs as long as they are willing to comply with SEC laws, he said. “If you want to do any IPO with a token, come see us." Clayton also addressed the nuanced difference between cryptocurrencies, which are not classified as securities, and digital tokens, which are. Clayton defined cryptocurrencies as “replacements for sovereign currencies,” such as the U.S. dollar, and said true cryptos are not securities. Many ICOs revolve around digital tokens, which are classified differently. “A token, a digital asset, where I give you my money and you go off and make a venture, and in return for giving you my money I say 'you can get a return' — that is a security and we regulate that," Clayton said. The SEC uses the “Howey Test” to determine how a digital asset is classified, Clayton said. The precedent comes from a 1946 Supreme Court ruling that defined a security as an investment in which the investor is expecting to profit primarily off of the efforts of another person. Clayton and the SEC have been outspoken in warning investors of the dangers of ICO investing, even going so far as to create their own fake website to show investors how easy it is to be deceived. The cryptocurrency market didn’t respond particularly positively to Clayton’s comments. 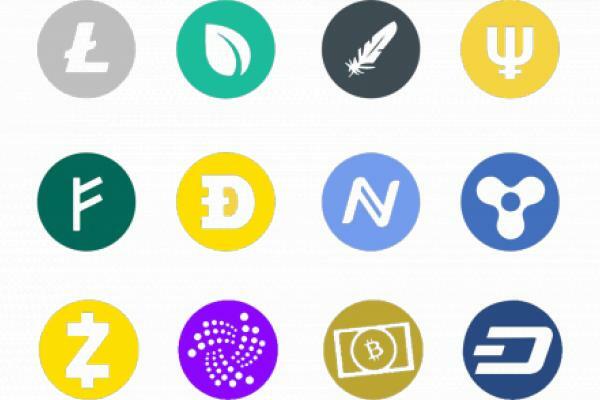 Most major cryptos, including bitcoin, traded lower on Wednesday. The Bitcoin Investment Trust (OTC: GBTC) traded slightly higher by 0.6 percent on the day but remains down 43.4 percent year-to-date.